Would you like creative and frugal ideas from real-life home gardens? Here you go! 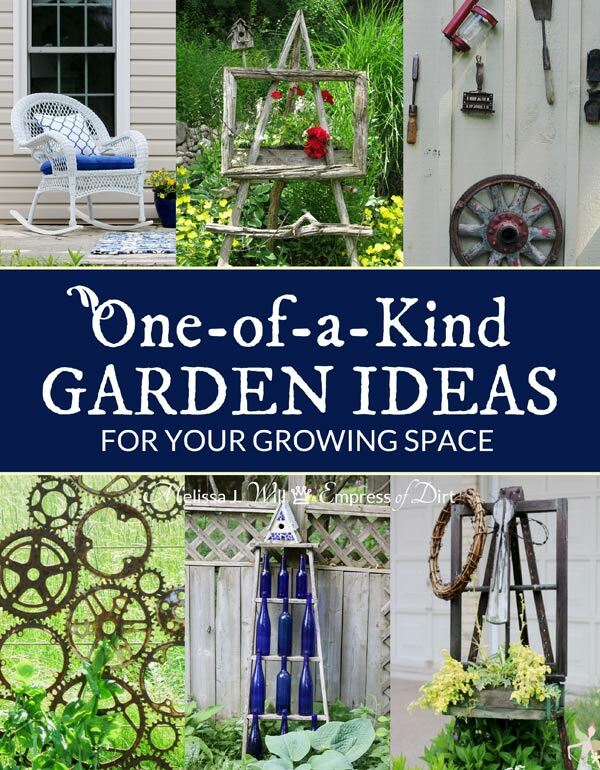 Dig in and explore these snapshots from designer-free backyards and grab ideas to make your own one-of-a-kind growing space. Want more inspiration? Also see the Ideas hub for hundreds more! When I was a new gardener, my mom (garden buddy) invited me on a local garden tour. I did not know what to expect but it ended up being one of the most inspiring and rewarding things I could do as a new gardener. Garden tours show you what grows best in your region, and I soon learned that most gardeners are just like me. We’re in love with plants and life outdoors, we have big dreams for our gardens, average or low budgets, and we’re impatient for the wonderful things we envision! Since then, I have visited hundreds of gardens. And my camera is always with me. I always check that photos are permitted and do my best to respect the privacy of both the home owner and the other visitors. I snap photos of anything that makes my heart flutter and thank goodness that I do, because without the photos I would not remember much! Gardening is where art and science/nature collides. It’s a relationship where we constantly adapt, coax, and change. It brings a contentment that is deep and healing. And, if you have experienced it yourself, you know the desire to share it. So many of life’s woes can be forgotten with an afternoon spent working in the garden. This new ebook features dozens of photos I have taken in my own garden and gardens I have visited. They are simple shots from backyards just like yours and mine, sharing delightful ideas to make your garden unique. 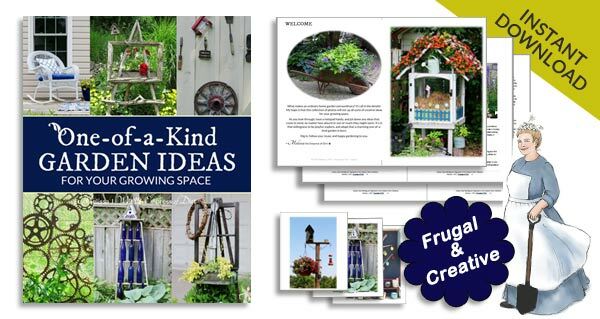 I selected 90 of my favorite photos illustrating frugal and creative garden ideas. The is primarily a photo book with some text offering tips and ideas. Once you have Adobe Reader, click on the Add to Cart button, pay by PayPal, or credit card, and download the file.